THIS is the AppScooter, made by Dutch company Bolt Mobility. It’s an electric scooter that'll integrate with a smartphone and if you like the look of it, you can pre-order one now or invest in the company itself from €10,000. The bike costs €3,490 or €2,990, with the difference in price being down to cosmetic changes. That might seem reasonable, but there’s a mandatory monthly charge of €29 for the battery (which you lease), servicing and connectivity features. Bolt Mobility makes no mention of how long this payment continues for. Considering its not reached production yet, Bolt Mobility isn't holding back, calling the AppScooter ‘The Dutch Tesla on two wheels’. The bike’s USP is its app compatibility and the way it works with a smartphone. It’ll run apps like Google Maps, Spotify and WhatsApp on the cockpit’s touchscreen display, and will integrate with a smartphone to display battery information, remotely disable the scooter, sound the horn/alarm and view the bike’s status. It’s powered by an electric motor with a claimed range of over 150km from one charge. 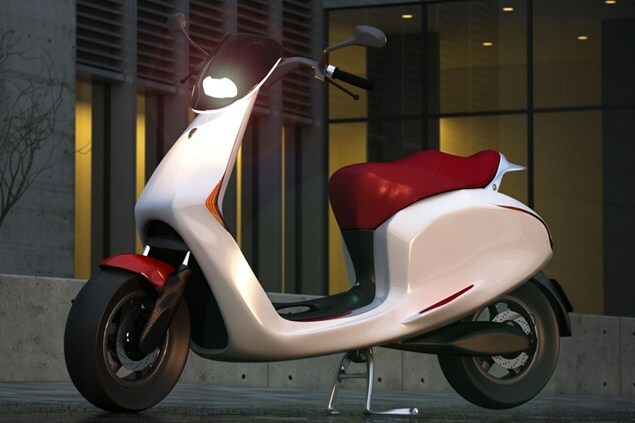 Bolt Mobility says the AppScooter is 150% faster than a Vespa LX50 from 0 to 45km/h, which it hits in the 3.9 seconds. Its claimed range is respectable – over 93 miles from one charge, although that means not going over 15mph. It'll return a claimed 62 miles from one charge if you stick to 28mph. An efficient electric scooter with some technical features can’t be a bad thing, but we can’t help but think that some of the app features will be an unnecessary distraction. Or will bike and rider benefit from having technology and connectivity similar to what's already available in many cars?